Breakthrough day for Courtwright: 2 prs. 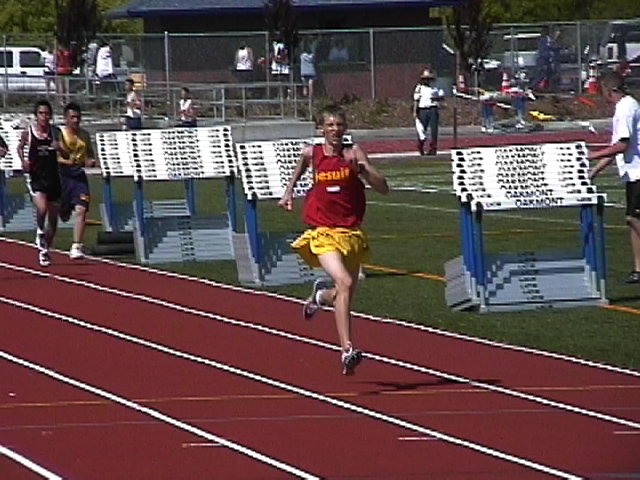 Last lap of the 1600 covered in 61 seconds, then a pr in the 800 to win his section of the event. Junior Alex Nelson joined the pr brigade with his 1600 effort. 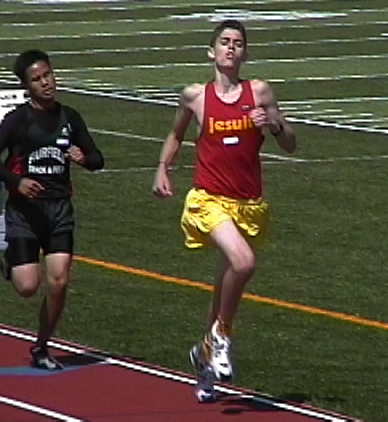 Freshman Evan Watchempino led from the gun to win the 3200 in a pr 10:03.75. 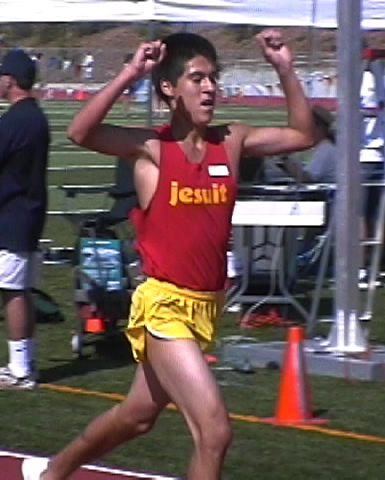 Evan is #8 on Jesuit's all-time freshman list. 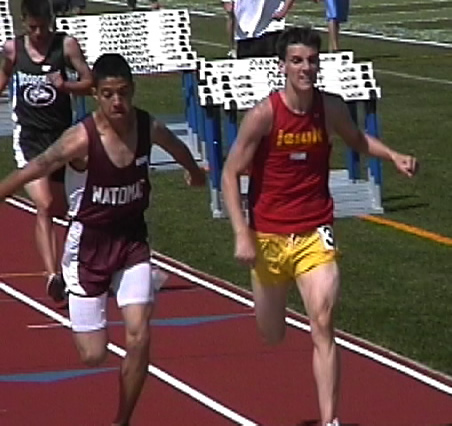 Freshman Michael Salvatierra improved his 800 pr by 7 seconds to win the JV 800 in 2:05.13--#12 on the Marauder frosh all-time list. 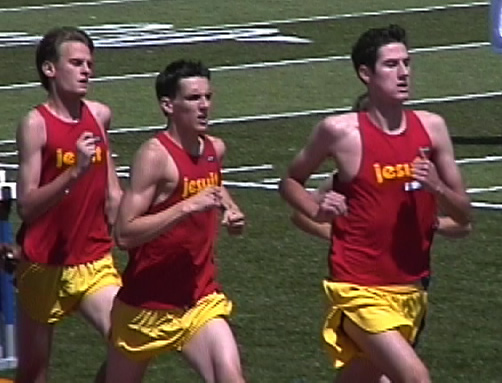 J Hodgson won his section of the FS 800 and made the Jesuit all-time list in the event. 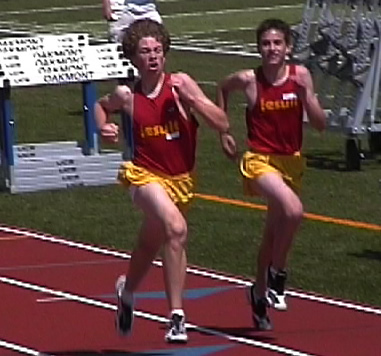 Stalder and O'Brien finish up with personal bests in the FS 1600. 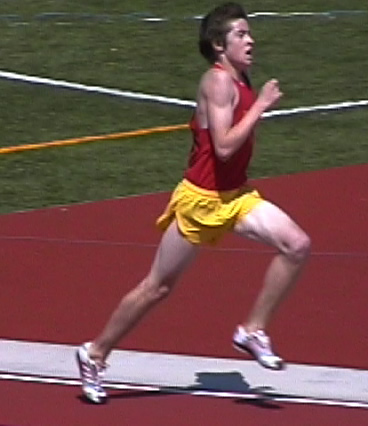 Frosh Scott Donahue won his first race and knocked a huge chunk off his previous best in the 3200.